What is a Weight Loss Calculator and Why Use it? The importance of a weight loss calculator is increasing each day since obesity is becoming a major issue all over the world. 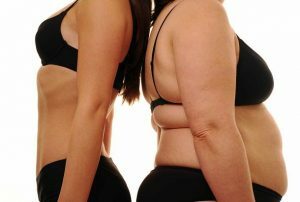 Millions of people engage daily in the effort to reduce extra body weight, and they are always eager to know how much weight they are losing on a daily basis. In order to make your weight loss efforts successful, you need to be able to track your weight loss over time. In other words, you need to be able to track how many calories you lose every day. A weight loss calculator is an essential tool which not only tells you your daily recommended intake of calories, but also the estimated time to achieve the required caloric deficit. You can use the slider to change calorie intake and see how it affects your estimated time for weight loss. In order to use this tool effectively, it is important that you know the amount of calories in each meal that you are going to eat. Motivation is the key to any weight loss effort, and every person wants to see the results quickly. When we are unable to see quicker results, we become unprovoked, and it’s affecting our motivation level, and efforts to reduce the weight negatively. A large number of people give up their efforts when they are unable to see the results. You must keep in mind that time frame is the key to success of any long term planning. If you don’t know how much time you required to achieve a desired weight, it becomes hard for you to concentrate, and keep yourself motivated enough to eat healthy, and daily exercise. The weight loss calculator will help you in setting a realistic time frame to achieve your objective regarding body weight. This calculator works as a motivator for the people who wants to succeed in their weight loss efforts. There are various types of weight loss calculators available on the market, and they have the same options with little changes. Most of these calculators are easy to use as all you have to input is basic information like age, gender, current body weight, desired weight, and the amount of exercise you do. You also need to input the number of pounds you want to lose and adjust the slider accordingly. When you adjust the number of pounds to lose, your daily calorie budget is adjusted automatically. The daily calorie budget is how many calories you can consume in one day. You have to limited yourself within that calorie budget because if you cross that limit, the weight loss calculator will issue a warning to you. Most people forget the fact that while the goal is weight loss… you have to do it in a healthy manner. You need to make sure you are getting enough energy to complete daily life tasks, but a good weight loss calculator will provide you with a proper daily calorie intake that is necessary to remain healthy. Often it becomes hard for a normal person to remember the amount of calories he/she eats in a day. Some people actually go to the lengths of trying to write down their calorie intake for the day, but with the advent of online weight loss calculators, this is no longer necessary. Simply input the information and follow the recommended daily intake provided by your calorie budget and you will be on your way to weight loss in no time! To analyze your weight loss efforts, know you are on the right track, you can use this essential tool, and keep yourself motivated. After all, motivation is essential to most things in life. In addition, people of all age groups, and genders can use this calculator and enjoy the amazing benefits of this weight loss tool. Losing weight in a correct way is easy now, thanks to the many types of online weight loss calculators available. Check out our weight loss calculator on the sidebar!